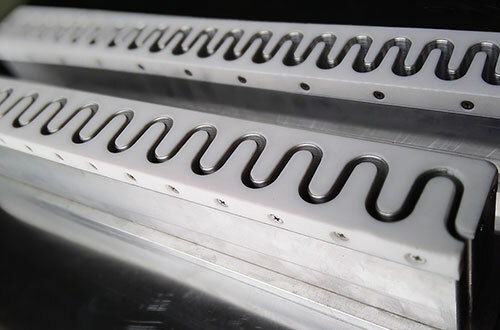 Molds, electrodes and fixtures play very important roles in high frequency welding, die cutting or thermoforming process. 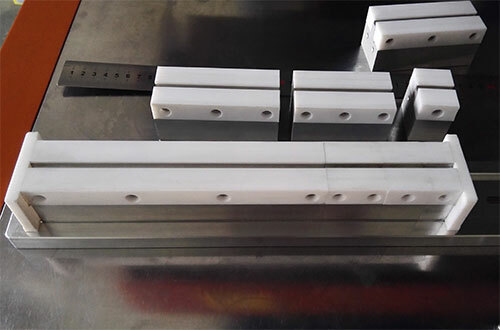 Well designed high quality molds, electrodes or fixtures can efficaciously increase quality of end-products and production efficiency. 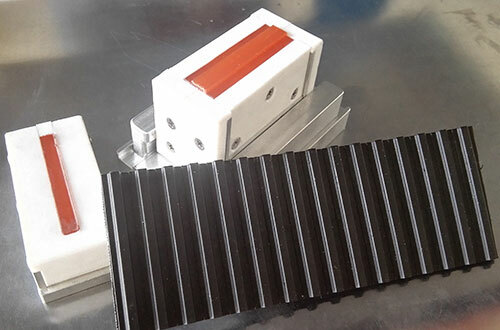 Beside machinery for light duty conveyor belt, Shanghai YOUBE offers custom high frequency Electrodes, Molds and Fixtures made of special grade brass or tolerated aluminum and proper insulating material for light duty conveyor belt industry and other industries. 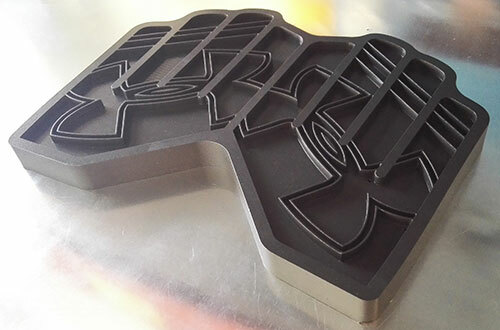 With our 3 & 5 axis CNC machines we can make practically any tool for high frequency welding application, thermoforming or die cutting. 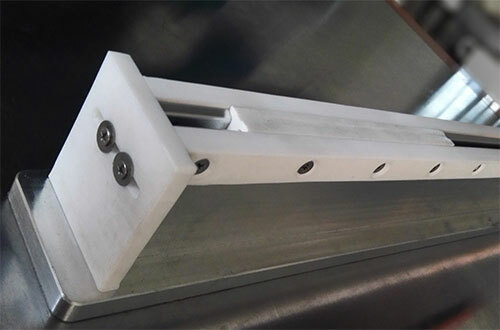 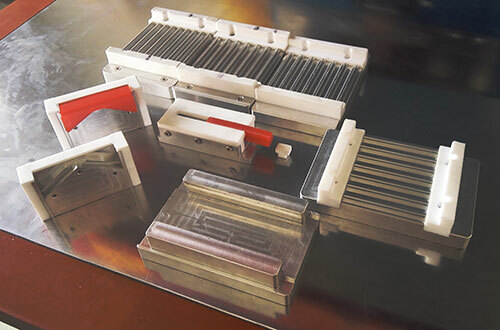 Our experienced engineering and tool producing team can offer full range of services and products of molds, Electrodes and Fixtures, from prototype design, tool testing to finished products. 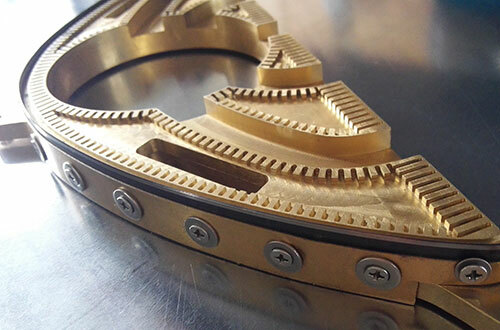 Stopper/Blocker welding for timing belt. 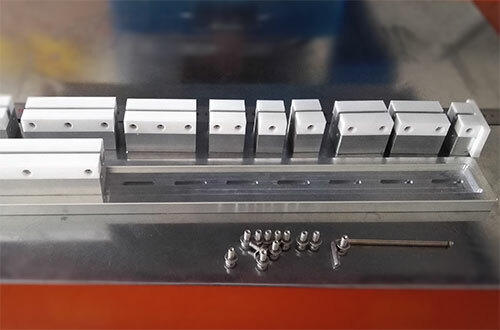 Shanghai Yoube can also supply molds, dies and fixtures for all kinds of high frequency application, such as embossing, thermoforming and so on.